The primary source of energy in the United States is currently fossil fuels. These include oil, coal, and natural gas, and they account for 85 percent of the total energy sources used in the country. The consequences of burning these fossil fuels are dire to say the least, and in this article we will attempt to answer the questions ‘why are fossil fuels bad for human health’ and ‘why are fossil fuels bad for the environment’. The first effect of burning fossil fuels is to the health of our population. The fact is that we need clean air for good health. 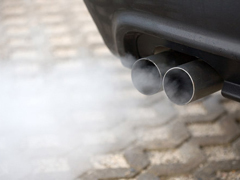 The main reason why fossil fuels are bad for our health is because burning them releases a number of extremely harmful gases, such as carbon dioxide and monoxide, sulfur oxides, nitrogen oxides, and hydrocarbons. Their combination released into the atmosphere creates a nasty overhang we commonly refer to as smog, the harmful effects of which have been brought up by medical professionals numerous times. Many of the harmful effects of fossil fuels are difficult to track, but they are there regardless. These include water pollution, acid rain, lung disease in humans, and also the costs of national security, as they are very adamant about protecting oil sources that come from abroad. Of course, because of the difficulty of finding the causes for these costs, it is society that has to pay them, silently, not even knowing where they came from, while it all boils down to one thing – fossil fuels. More and more people find themselves asking ‘why are fossil fuels bad for the environment?’ with much evidence of the fossil fuels and global warming connection becoming more apparent. The most significant contributing gas to global warming is carbon dioxide, which is notorious for trapping heat in the atmosphere of the earth. This is the gas that is emitted the most when fossil fuels are burned. In fact, the amount of carbon dioxide released into the atmosphere is now over 25 percent more than it was 150 years ago. Fossil fuels are also responsible for the increase in nitrous oxide and methane levels in the atmosphere. The fossil fuels and global warming connection is confirmed by scientists, who claim that if the current levels of carbon dioxide keep on rising, the Earth will become warmer this century. Various impacts are due to happen as a result of this temperature increase. For one, many glaciers around the world are already melting and the more they melt, the more sea levels will rise. If this happens, coastal areas are likely to suffer because of flooding and inundation (delta areas are especially under threat). Other climactic changes are due to bring more natural disasters and extreme weather conditions in some areas. Agricultural zones located inland could suffer severe droughts. These answers only begin to scratch the surface of answering the question “why are fossil fuels bad?” Fossil fuels are not just bad, they are the main culprit of the world’s problems. A solution needs to be found, and it needs to be found fast! Posted on October 24th under Global Ecology.